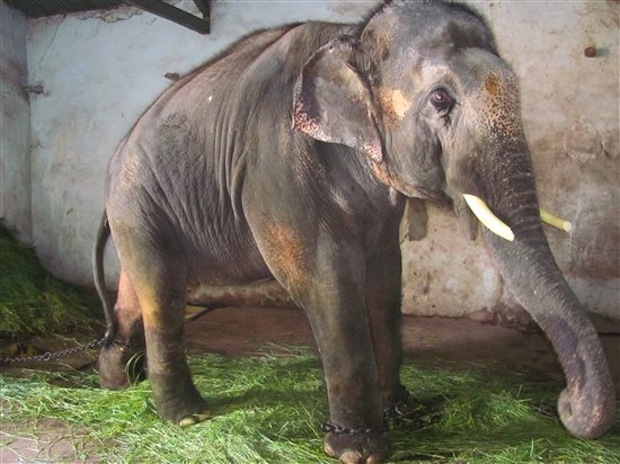 Last month we told you about the tragic plight of Sunder, a young elephant in India who has been abused and kept in a dark shed for years. In addition to being forced to wear spiked chains, the elephant has a severe eye injury, skin lesions from abuse and is kept in a small shed where he cannot even turn around. His story attracted worldwide attention when Sir Paul McCartney wrote an impassioned letter on his behalf, asking the Indian Forest Minister to set the animal free. 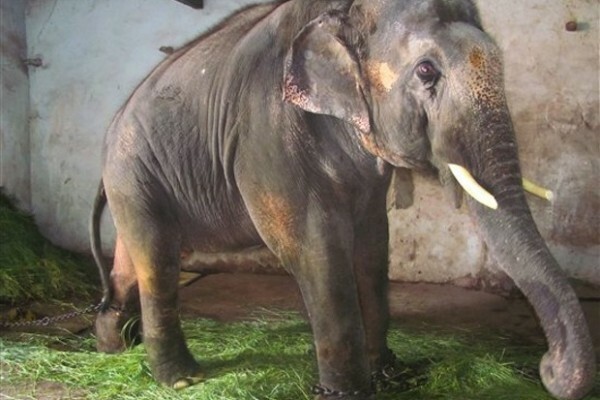 After news of McCartney’s letter spread, people around the globe spoke out in support of Sunder’s freedom. Petitions popped up on sites like Care2.com, and other celebs, including Pamela Anderson, joined the fight. So it comes as wonderful news that McCartney’s plea was successful. It was announced this week that plans are in the works to move Sunder from his painful temple shed to a wildlife refuge, where he will hopefully live out his days in freedom and sunshine. PETA India had been working hard to secure Sunder’s release and are delighted that McCartney’s letter had the desired impact. ”We are grateful to the forest minister for agreeing to liberate Sunder,” said Mimi Bekechi, a PETA spokesperson. So are we — we love a happy ending. Thank you Paul for using your success to stand up to those with no voice! !